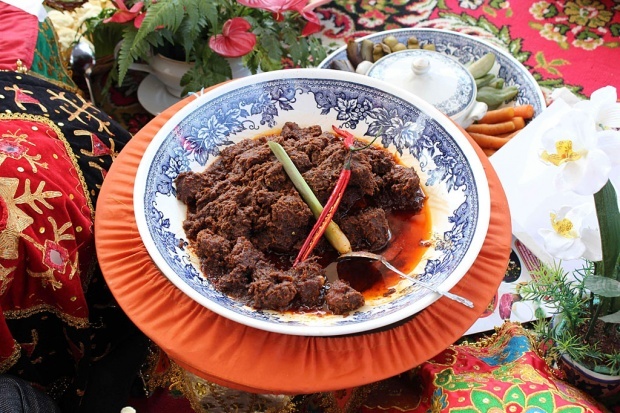 Tourism Ministry named five Indonesian dishes as national culinary, namely Soto (soup dish), Rendang (beef dish), Nasi Goreng (fried rice), Sate (satay), and Gado-Gado (vegetable salad with peanut sauce). The decision, Tourism Minister Arief Yahya said, was made since Indonesia has not yet determined its national dish. “For example, Thailand is known for its Tom Yum and Malaysia for its Nasi Lemak. While Indonesia has many foods and so it is our problem of plenty,” said Arief during a press conference on Tuesday, September 18, in Tourism Ministry, Jakarta. Minister Arief said an attempt to increase tourist arrivals in the country through culinary tourism run smoothly thus far. However, the ministry must take further efforts to attract foreign tourist to visit the country. Arief mentioned Soto was already selected as the national cuisine by five institutions that led by Creative Economy Agency (Bekraf) because it has widely spread in the archipelago. Three of five national culinary had been acknowledged by CNN as the World’s Most Delicious Food.